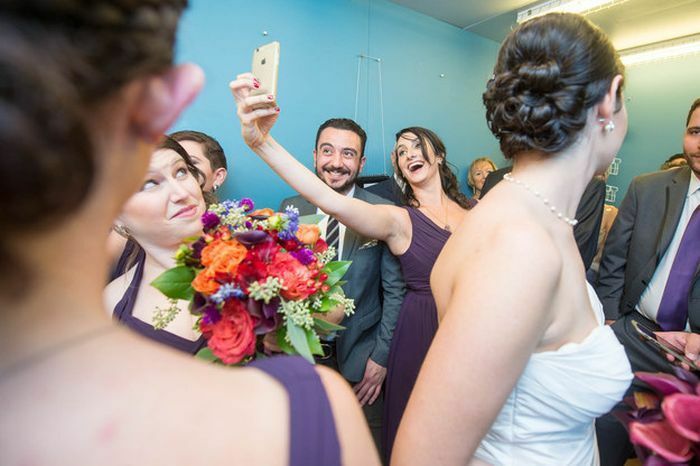 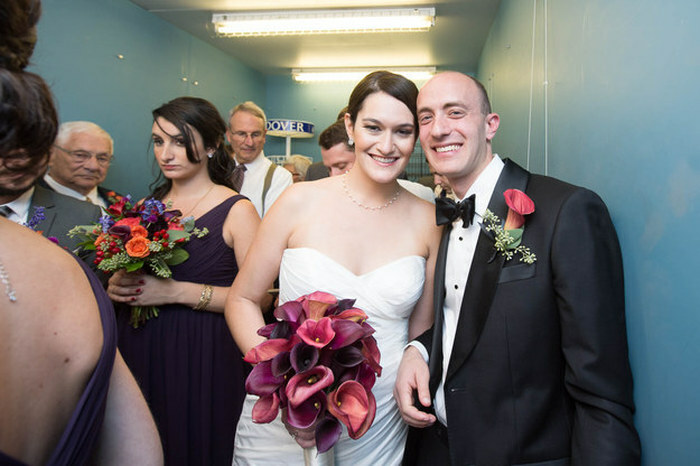 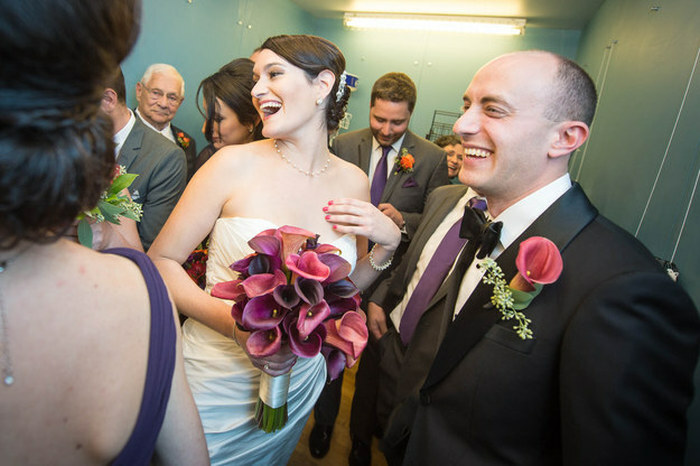 Liz Copeland and Harry Stein held their wedding reception at the Torpedo Factory in Alexandria, Virginia on October 10th. 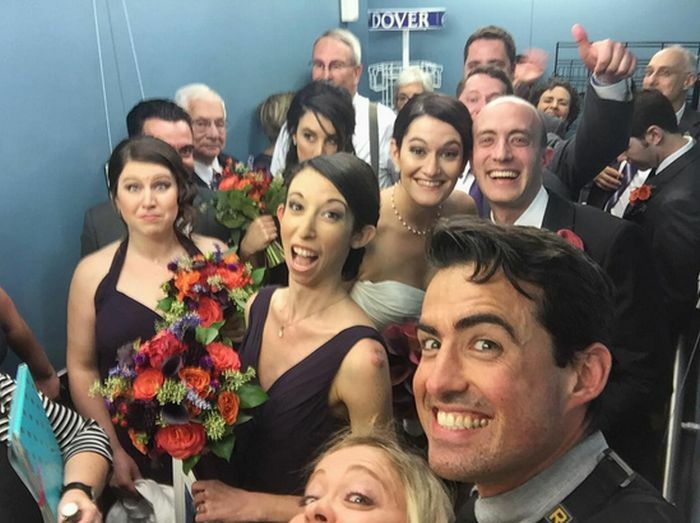 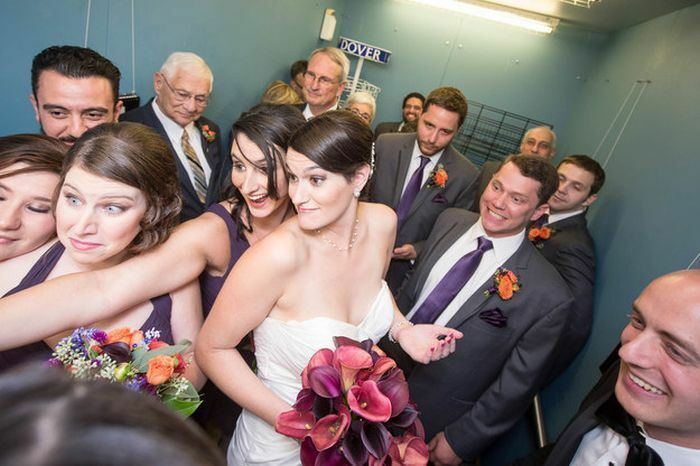 The wedding party was trying to join the reception when something terrible happened, the elevator got stuck. 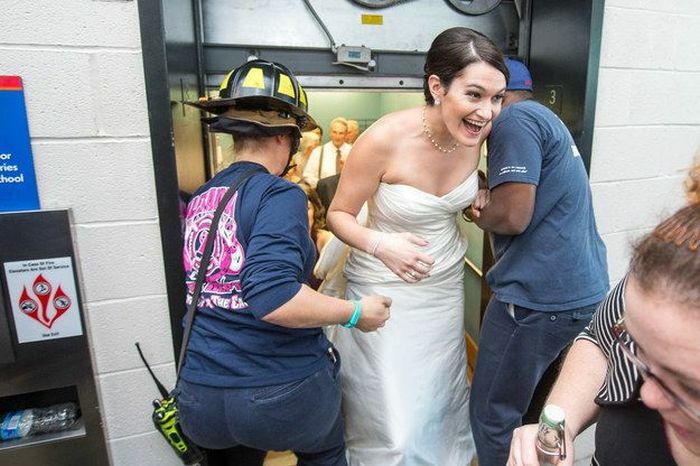 They didn't let that stop their good time though. 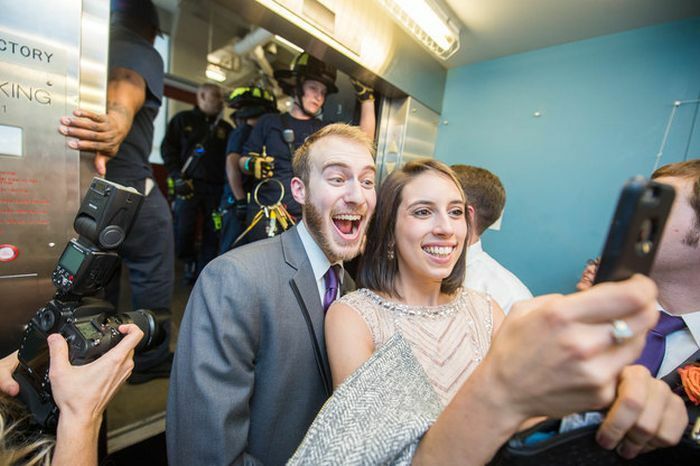 They continued to party while they were trapped in the elevator. 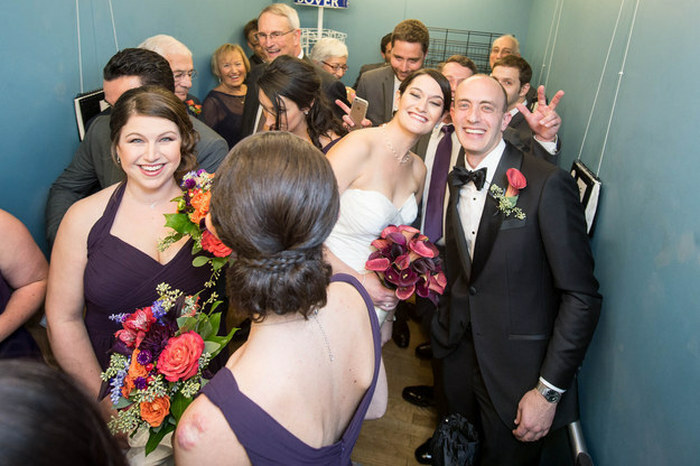 Good thing, noone was claustrophobic.